Windows and Linux in the same line? Yes, you heard that right... and that too, on the same computer and within the same operating system. 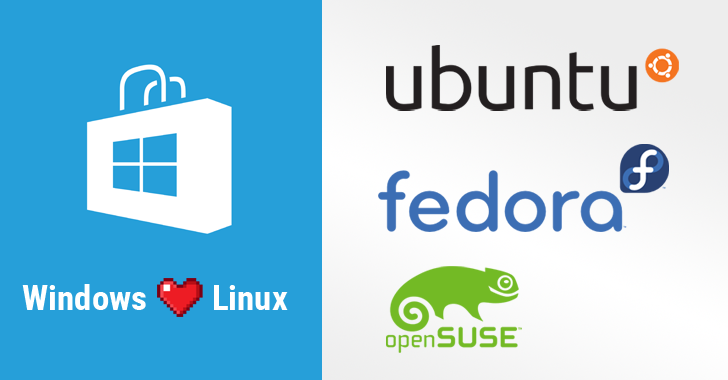 Two months ago, Microsoft announced its plans to let its users install three different flavours of the Linux operating system – Ubuntu, Fedora, and SUSE – directly through their Windows Store, allowing them to run Windows and Linux apps side-by-side. Now, downloading an entire operating system has just become as easy as downloading an application with the availability of popular Linux distro 'Ubuntu' in the Windows App Store. However, unlike a conventional Ubuntu installation, this Ubuntu version runs in a sandboxed alongside Windows 10 with limited interaction with the operating system and is focused on running regular command-line utilities like bash or SSH as a standalone installation through an Ubuntu Terminal. For now, Ubuntu is currently only available to Windows 10 Insiders users and would be made available to the public with the upcoming Windows 10 Fall Creator Update, which is expected to release in September/October 2017. Users registered in Windows 10 Insiders Program with at least "Build 16215" installed can directly install Ubuntu from the Windows Store, which will allow them to "use Ubuntu Terminal and run Ubuntu command line utilities including bash, ssh, git, apt and many more." After installing Ubuntu, Windows 10 users will require enabling "Windows Subsystem for Linux" that was previously added to Windows 10. Navigate to Control Panel and go to "Apps and features" settings. Select "Programs and Features" from the right panel. Open the "Turn Windows features on or off" from the left menu. Select the "Windows Subsystem for Linux" and save it. While the company has not revealed exactly when its users can expect to see the other two Linux distro, Fedora and SUSE Linux, to the Windows Store, this step by Microsoft follows its commitment to the open source community. In 2013, the Microsoft launched Visual Studio, and a year later, the company open-sourced .NET. In 2015, the tech giant open sourced the Visual Studio Code Editor, as well. Last year, Microsoft took many steps to show its love for Linux, which includes bringing of Ubuntu on Windows 10, working with FreeBSD to develop a Virtual Machine image for its Azure cloud, choosing Ubuntu as the OS for its Cloud-based Big Data services, and even joining the Linux Foundation as a Platinum member – the highest level of membership. 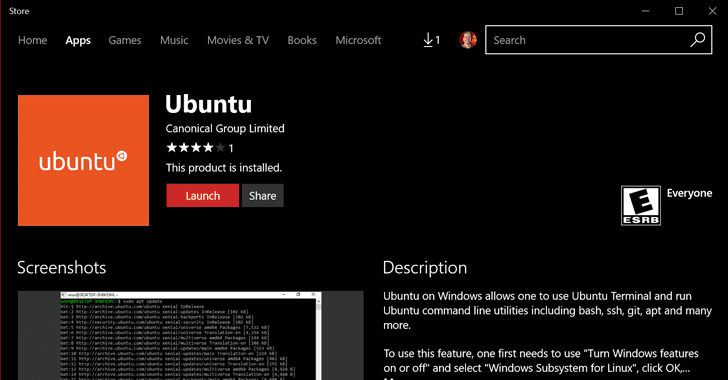 Have you tried out Ubuntu on Windows 10? If yes, let us know your experience in the comments below.